Everyone needs good accessories in the spring, right? And who doesn’t want the latest in color and print? We put together this DIY project so you can have both. 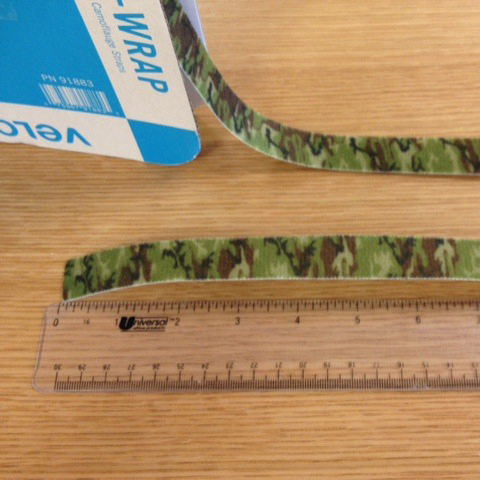 First things first, wrap a piece of VELCRO® Brand ONE-WRAP® strap in camouflage around your wrist. Cut 1” longer to provide some overlay to close. 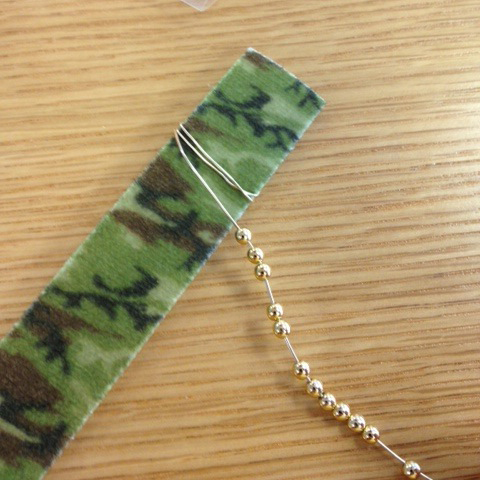 Next, start prepping the bracelet detail: add beads to the wire. Next, wrap the wire around the strap. Tuck the starting end of the wire on the back side between the looped wires. 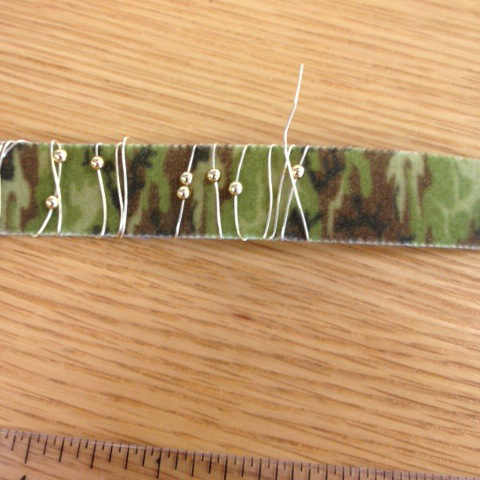 The beads should be on the printed side of the strap. 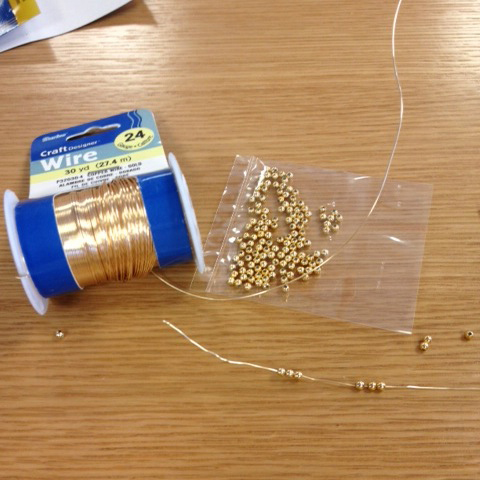 Wrap the wire as close or spaced out as you like and then continue to add beads. 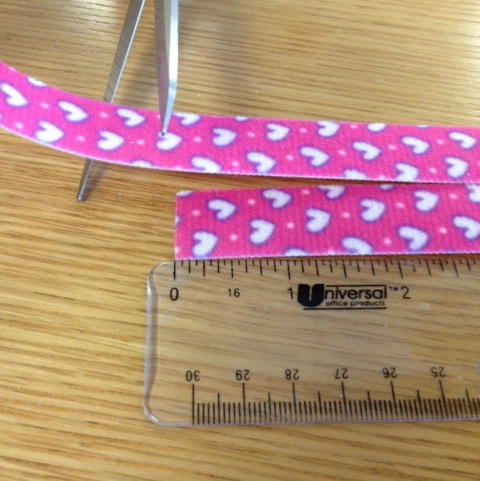 Leave the last inch of the strap free of any decoration in order to overlap the two ends and close your bracelet. 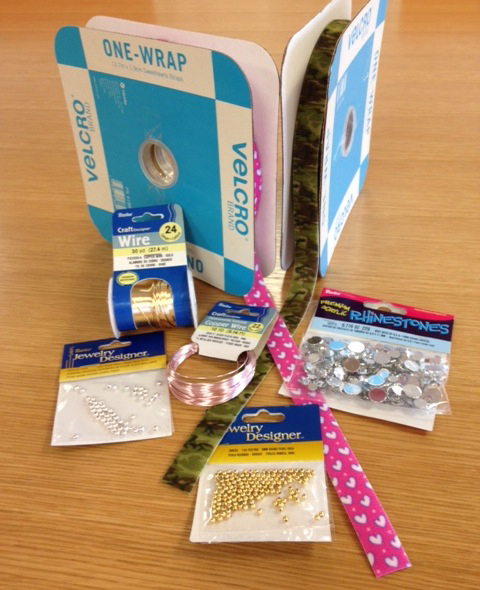 For those of you who prefer a rhinestone detail, this one’s for you! 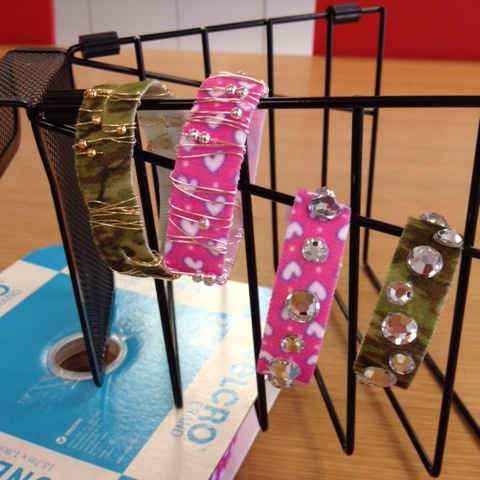 Start by wrapping a piece of VELCRO® Brand ONE-WRAP® strap in hearts around your wrist. 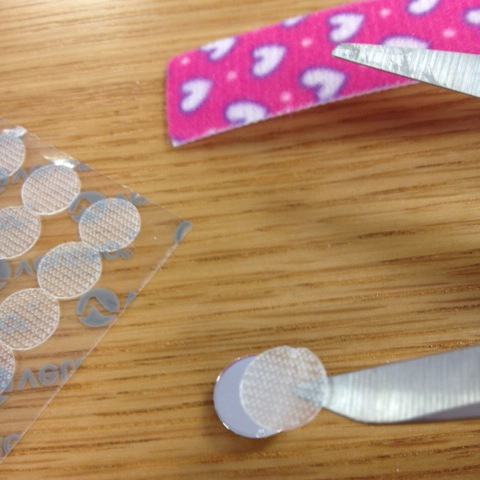 Cut 1” longer to provide some overlay to close. 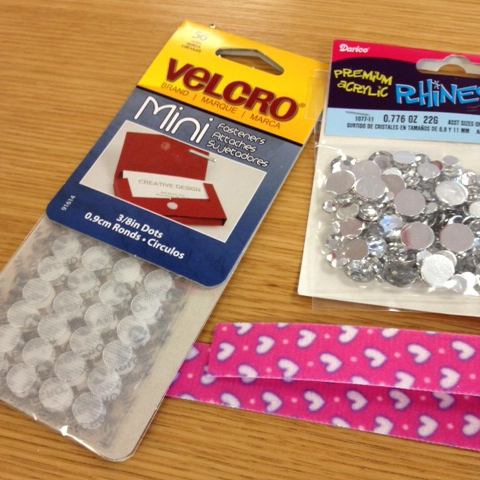 Peel the adhesive from the hoop side (rough side) of the VELCRO® brand Mini Fasteners 3/8” dots. 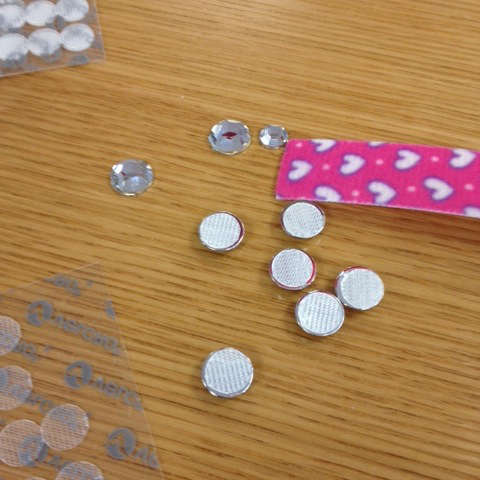 Stick the adhesive side of the dot to the back of the rhinestone. 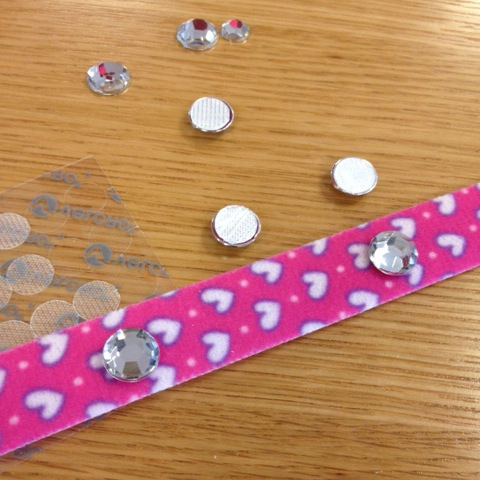 Continue adding rhinestones along the strap. 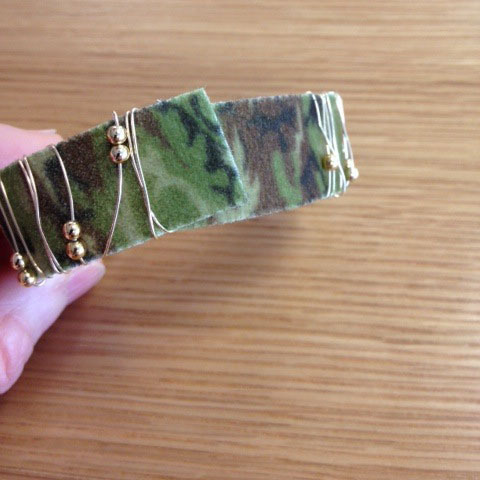 Similar to the camouflage tutorial, leave the last inch of the strap free of any decoration in order to overlap the 2 ends and close your bracelet. Voila! Style these together and you’re ready for spring! What other patterns would you want to see? Talk to us in the comments below!